Lindsey Smith is Deputy Chief of Academics and Instruction for Attuned Education Partners, an organization that provides support to schools and school systems across the country. 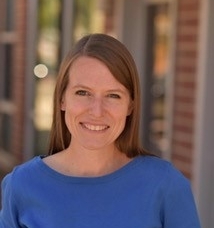 During the Fellowship, Lindsey served as Director of Language and Literacy for Denver Public Schools. In that role, she led a team responsible for supporting literacy curriculum, instruction, and achievement in grades K-12. With Lindsey as literacy director, DPS achieved record-setting literacy gains on state assessments, implemented new standards-aligned literacy curriculum in grades K-12, and restructured literacy professional development to closely target educator and student needs. Lindsey also served as an Adjunct Instructor at Relay Graduate School of Education's Denver campus. Prior to joining the DPS academic team, Lindsey served as Director of Curriculum and Instruction at DSST: College View Middle School and as a language arts and reading intervention teacher. Lindsey entered education from the book publishing world. Lindsey holds an M.A. in Curriculum and Pedagogy with a concentration in Linguistically Diverse Education from the University of Colorado-Denver, an M.Phil. in English from the University of Cambridge, and a B.A. in English from Princeton University.